Premier Carpet Cleaning & Restoration LLC has been in the carpet cleaning business for more than 8 years. We provide a broad spectrum of carpet cleaning services, to homes and businesses in and around Flagstaff, Arizona. Premier Carpet Cleaning & Restoration LLC is fully insured and bonded to provide the best carpet cleaning in Flagstaff, Arizona and surrounding areas, and pride ourselves on our unmatched customer service. We use high-powered hot water extraction vacuums to ensure the cleanest results every time. Here at Premier Carpet Cleaning & Restoration LLC, we believe that cleaner carpets make your home healthier for your family. We provide carpet cleaning for all types of carpets, large and small area rugs and even offer curtain cleaning and upholstery cleaning. What's more, Premier Carpet Cleaning & Restoration LLC offers 24/7 emergency service in the Flagstaff area for water damaged carpets and area rugs. Call (928) 216-4976 for a free quote today for your carpets, rugs, curtains or upholstery! 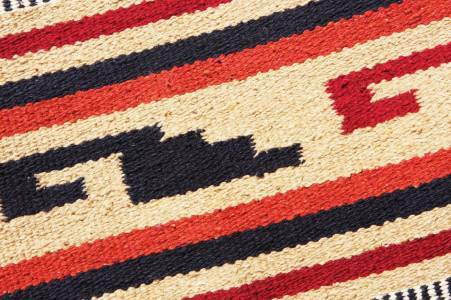 Apart from the competition, Premier Carpet Cleaning & Restoration LLC specializes in cleaning and treating Navajo rugs. We are uniquely qualified to handle all of your carpet cleaning and restoration needs. Call us at (928) 216-4976 to discuss your carpet cleaning needs. Flagstaff area carpet cleaning: Get your carpeting professionally cleaned by Premier Carpet Cleaning & Restoration LLC: Coconino County's carpet cleaning specialists. We offer residential carpet cleaning for homes, condos, and apartments in and around Flagstaff, AZ. We also offer carpet cleaning for cars, boats, and recreational vehicles. Call (928) 216-4976 today for a free quote. Commercial carpet cleaning in and around Flagstaff: From small offices to multi-floor office buildings, Premier Carpet Cleaning & Restoration LLC is fully staffed to provide your company with professional carpet cleaning. Call (928) 216-4976 and ask about our flexible scheduling and maintenance contracts.